My interest in wordplay began in childhood. Growing up in North Omaha I found myself attracted to the wonder of certain words, usually multi-syllabic tongue twisters I heard television talking-heads wittily brandish. I also fell under the near fatal spell of alliteration. I did not attempt creative writing when I was young because I had no notion I could. My unlikely path to poetry—to creativity, really—was detoured by everyday life: growing up, marrying, starting a family, working, attending college as a non-traditional student. By the time I graduated with a degree in horticulture, I thought I knew what I wished to do and where I was headed. Not exactly. I was in 6th grade at Morley Elementary in Lincoln when my teacher announced that Ivy Ruckman would visit our school. She had just published Night of the Twisters, a book that amazed me because it wasn’t remote and it wasn’t entirely imaginary. It was about an event that I remembered in a city not too far away. This was groundbreaking for me. Since 2nd grade, I’d been writing about haunted houses and mysteries and dragons in places far from Nebraska. Night of the Twisters encouraged me to imagine new stories closer to home. 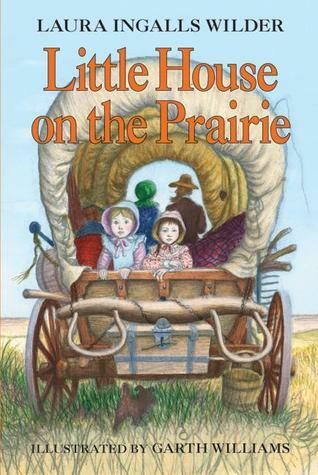 I was about seven years old when the teacher at my one-room school suggested that I read Little House on the Prairie by Laura Ingalls Wilder. It seemed really daunting at first, but soon I was totally engrossed in the story of Pa, Ma, Mary, Laura, and Baby Carrie starting a life in a place not that far from where I called home. I made a little nook for myself on the floor of the walk-in closet in the bedroom my little sister and I shared and missed many different calls for supper that first evening! When I was thirteen my mother gave me a paperback copy of Bess Streeter Aldrich’s A Lantern in Her Hand. The book told the story of a girl who grows up in the Nebraska Territory in the late 1800s.We had just moved from Nebraska to California, and the gift may have been my mother’s way of encouraging me to know and appreciate my heritage on the plains. It worked! I developed a love for history, Nebraska, and reading.